Looking to experience life on the water? Rent Your Houseboat Today!Rent Your Houseboat Today! 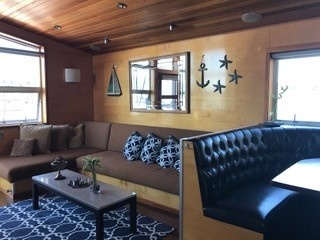 Spacious and stylish...our houseboat will have you in vacation heaven. Have you ever wanted a unique vacation experience? 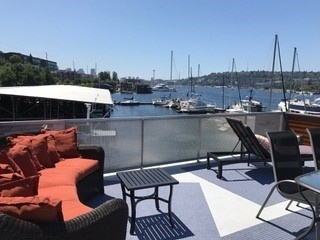 Rent stunning SeaZen Float on Lake Union in Seattle, WA. Come aboard and experience the tranquility of having your own private luxury houseboat for your holiday; we promise it will be one that will give you plenty of valuable time on calming and peaceful waters! RELAXING GET WAY AND UNIQUE EXPERIENCE. SeaZen Float is owned by Sharon and Don Morken. We have done our best to equip it with all of the amenities that you will need to have a vacation worth remembering. If there is something you need we are just a phone call away. Our houseboat can be rented via Home Away and VRBO. We are part of the Seattle Houseboat Association, an industry body that brings together houseboat owners in the area. If you are looking for a chance to sleep in a comfy houseboat’s quarters for your holiday, get in touch with us today.